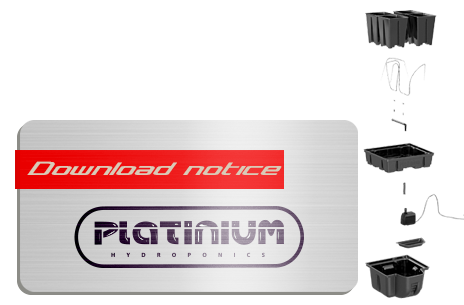 Platinium Hydroponics has the Aerotop 80 manage 12 plants. This aerotop is composed of a 50 liter tank filled with nutrient solution comprising an easy access with a removable hatch and a graduation of the reservoir providing a quick overview of the level of remaining nutrient solution. Pump included water and irrigation ..